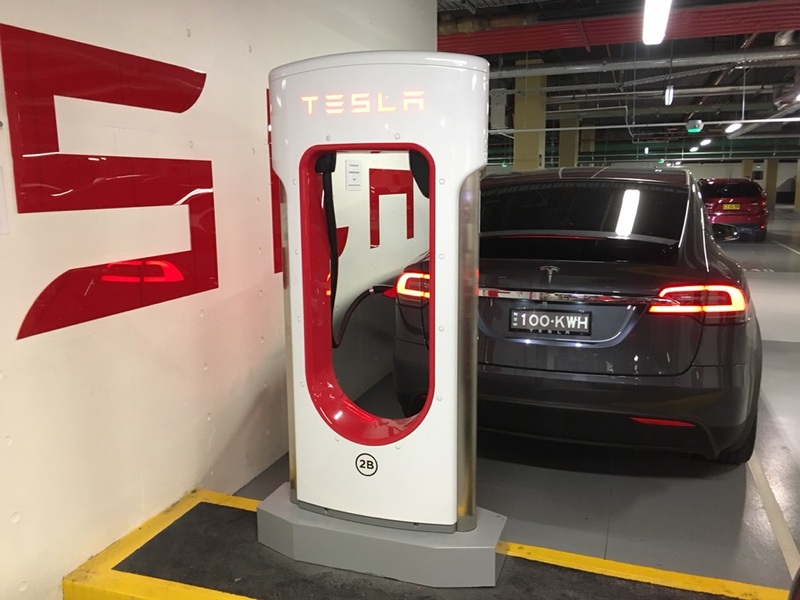 Tesla’s Supercharger network will be making its way to a city near you, as the company looks to increase the number of charging stations in urban areas. The roll out of Tesla’s urban charger network is part of the company’s strategy to accommodate apartment dwelling Tesla owners that may not have access to a private garage with charging. By providing drivers with access to the Supercharger network within a city, Tesla is making charging more practical for a new demographic of Model 3 buyers that presumably reside in more urban locations. Unlike Tesla’s existing high-powered Superchargers that are generally located at charging stations off of major freeways and interstates, and spaced roughly 100 mi (160 km) apart, Tesla’s urban charger network will utilize Superchargers with slightly less power as a way to limit stress on the utility grid. Because driving within a city is generally limited by shorter travel distances, it’s also unnecessary to charge beyond what’s needed. Charging 30 minutes on a lower powered Supercharger will provide enough energy for inner city travel. Tesla CEO Elon Musk confirmed through a tweet Wednesday evening that “Major increases in the Supercharger and Tesla urban charger network” will be taking place over the next several months. Tesla announced earlier in the year that it looks to more than double the number of Superchargers and quadruple its Destination Chargers to 15,000 by the end of 2o17. “Tesla will double that number to total more than 10,000 Superchargers and 15,000 Destination Charging connectors around the world. In North America, we’ll increase the number of Superchargers by 150 percent, and in California alone we’ll add more than 1,000 Superchargers.” read a Tesla blog post published in April. In the same blog post, Tesla also revealed that the company intends to make charging “ubiquitous in urban centers.” as validated by Musk’s recent tweet. With “zero concerns” over the production of 500,000 Model 3s in 2018, having a robust charging network that can serve both urban and rural owners is paramount. “To better serve the needs of owners who are traveling or those who don’t have access to reliable home charging, we will continue to aggressively expand our public charging networks.” says Tesla.